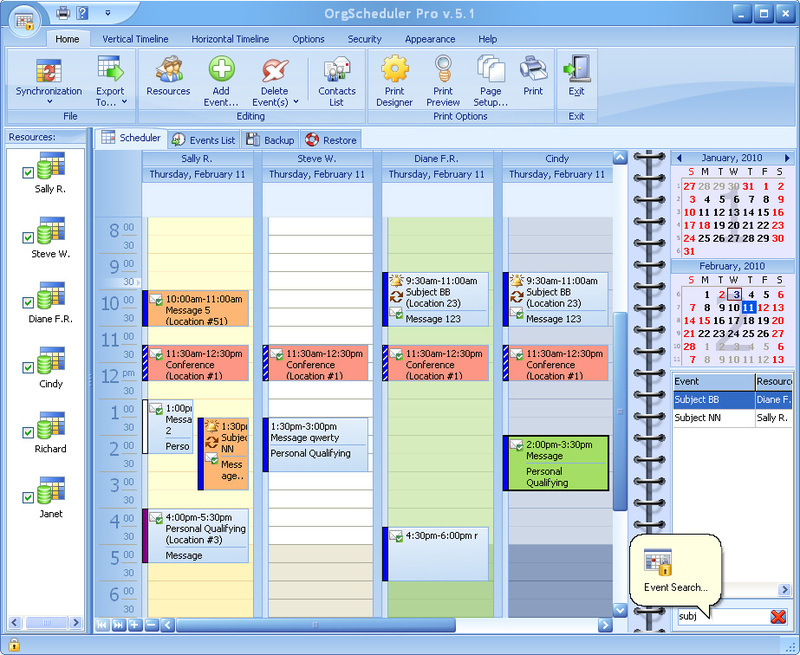 A complete calendar and scheduling system. 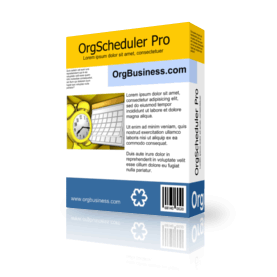 The OrgScheduler Pro enables to browse several plans for any entity such as an individual or office location, etc, simultaneously. Each resource has a unique label and a caption to display within the calendar. As such, it doesn’t matter which resource types you need to display – human resources, department resources, etc. The program is built upon the interface options introduced in Microsoft Outlook. It includes importing from Outlook, exporting to Outlook, text, HTML, PDF, XML and Excel formats. It features different time display options in the day view, automatic hints that display an event’s start and end time together with its caption, multiple look and feel styles, event recurrence control. The program is designed to enable the communication between different scheduling applications. The software simplifies information transmission between different platforms by implementing iCalendar standard support. This format allows you to exchange scheduling data between your application and the following calendars – Apple iCal, Microsoft Exchange Server and Android apps. The Pro-version gives you a customizable Resource Navigator, new Date Navigator, a comprehensive reminder, control over the events overlapping and a mechanism for sharing events between an arbitrary number of different resources. With OrgScheduler, you can use e-mail or SMS to send appointments, reminders and invitations to colleagues, friends and family members. You can format the calendar according to your regional settings. It provides many types of views: Day, Week, Month, Quarter, Year, All Days or Work Days only and vertical, horizontal timeline views. Also Print Designer system enables to you to design and print elegant reports. Access to all data is provided through a well encrypted password. You pay for the program only the first time and get all new versions of this program for FREE and for a lifetime!